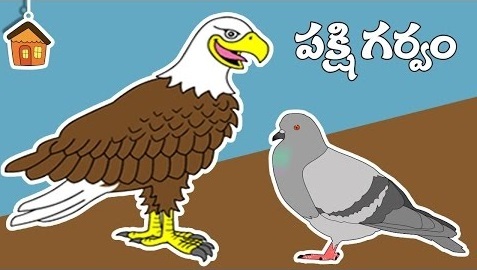 Telugu Moral Stories with Cartoon Stories For Kids, Birds Pride only on Bommarillu channel. Here is a nice moral story for your kids, some really good things you should learn in life. One Day all the birds in the forest gathered and started discussing about their own strengths. Pigeon said it is has the strong wings. Peacock said that it has got the colourful feathers. I can swim easily with my legs, said the duck. I have the sweet voice Cuckoo Said. Eagle said that it is having the most sharpest eyes and asked someone to come with her to check how powerful her eyes are ? Cuckoo agreed to go with the eagle and sat upon the wings of the eagle. Watch the whole story what happend next.